For those of us who live in Florida, yes, we had what I loosely call “winter.” And, believe me, there were some cold days this past winter. However, nothing ARCTIC like in other parts of the country, like the east and midwest. Nevertheless, it’s that time of year when many of us revive our yards with beautiful bursts of color using flowers! In a nutshell, there are ANNUALS and PERENNIALS. You plant an annual in the spring/summer, enjoy its blooms during the warm months, and then it dies when fall/winter arrives. It doesn’t bloom again the following year. In fact, you normally pull it out of the ground after it dies and dispose of it. On the contrary, you plant a perennial at the appropriate time in the spring/summer, and not only will it bloom this season — but it will hibernate for a time during the winter, and come back to life, year after year. Consequently, due to the temperate weather here in Florida, there are plants that bloom all year round. Some of these plants — even though they’re considered annuals and die in the winter up north — continuously bloom in Florida. Plant one or more of the blooming Florida spring perennials, below. Find more info at the Costa Farms website. Busy lives require easy-to-care-for plants. Your answer is Vinca. Many plants require regular maintenance, such as cutting them back or removing dead blooms. Not Vinca. 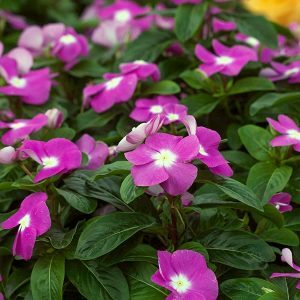 If you don’t like to garden, but you still want your yard pretty and colorful, then choose Vinca, and get all the benefits without the work! Look for the Garvinea-type, according to the Costa Farms website. These pretty, daisy-like plants bloom non-stop all year long when you keep them fertilized. Enjoy these blooms indoors by using them in bouquets. Additionally, grow them in various colors, including yellow, orange, red, pink, purple, and white. 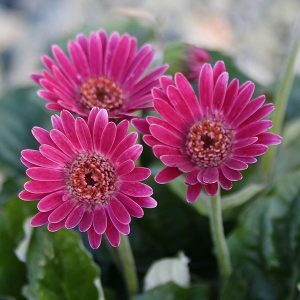 Finally, if you want to attract butterflies and bees, the Garvinea-type Gerbera is a great choice. Butterflies visit this summery-orange bloom. It’s also easy-care, like Vinca, and has an extended bloom season. Moreover, if you have lots of indoor light, take the orange indoors and grow Crossandra as a house plant. 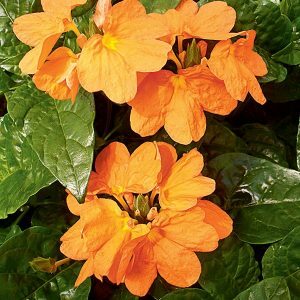 Get Crossandra in shades of apricot and salmon, too. Read my blog, “Robust Blooms Tough Enough for Sizzling Florida Summers” for more flowers that grow great in Florida. 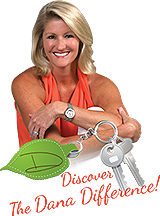 And…if you’re ready to buy a home to showcase your colorful Florida spring perennials, contact me!